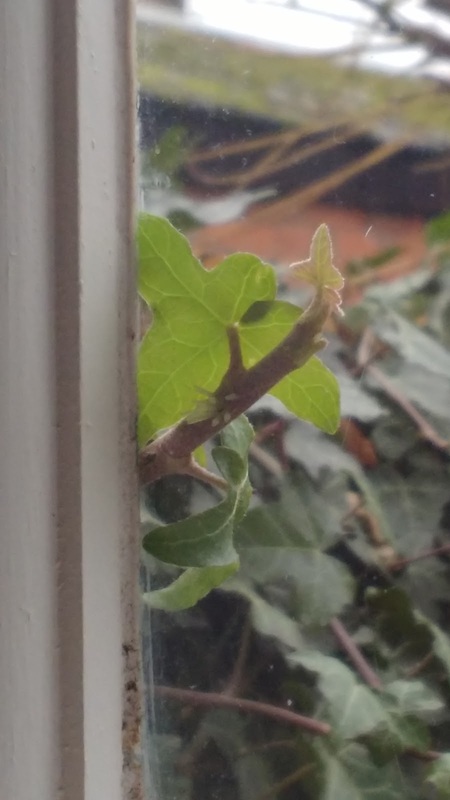 Caught this new ivy fellow a looking in through the window yesterday, 'he' wasn't there the day before... I better check his progress for the remainder of my placement here in Essex, the whole window could be covered in five more days! All for today, I think today less is more... Because more would be far too much!